You know that you need a blog to help your audience find you online through social media and search. But what are you doing with the valuable traffic your blog generates? Are you capturing new leads, or losing out on potential customers as they bounce from your website? As you create and share content, you’ll begin to organically grow traffic. 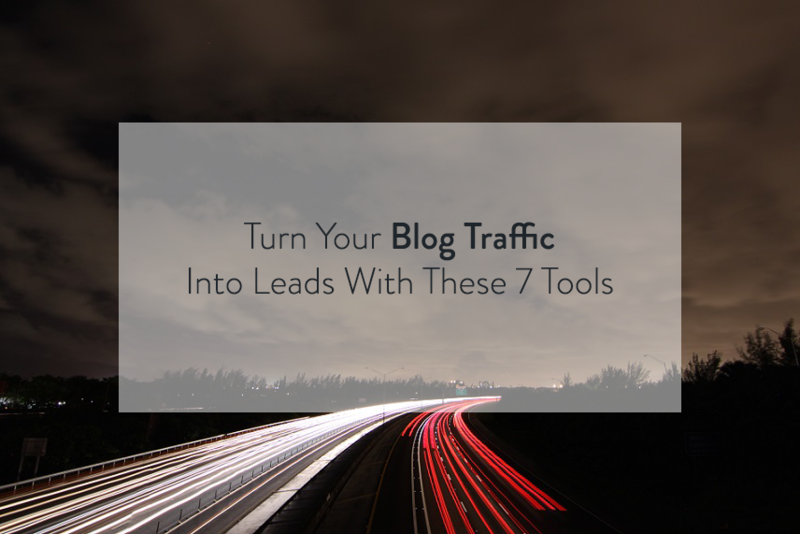 Here’s how to make sure that blog traffic eventually converts into customers. A lead magnet is something of value that you offer in return for a prospect’s contact details. It can be an eBook, a white paper, a market report, a video or anything that provides value to your audience. The key here is that the magnet needs to be something highly relevant and worth your prospect’s time. This ensures the you attract quality leads and filter out people who will never convert. But don’t forget to gate the content so you actually capture the prospect information! The great thing about lead magnets is that because you offer something of a higher value you can ask for more details than just their email address. As a result, you can generate high-quality leads that include phone numbers, job titles and other valuable information. Marketing tools like AdRoll, ReTargeter, and Perfect Audience allow you to pixel your existing visitors and target them with relevant offers on websites outside your blog. The efficiency of your retargeting depends on how good your ads are. Each ad needs to have a clear and powerful copy, a visible CTA and needs to direct your prospects to a landing page where they’ll then convert. Remarketing is an effective way to stay top-of-mind with your website visitors long after they’ve left your website, and driving them back to convert. The content upgrade is relatively new term in content marketing, although it’s a strategy that’s been around for a while. The concept is simple. Let’s say a potential customer reads a blog post on your website, and she loves it and wants to learn more. The article is valuable and offers very efficient how-to advice she’s going to use. Somewhere in the middle of your blog post, you offer your readers a free download of a simple checklist or a list of resources needed to execute the advice in the article. And that’s it. A content upgrade can be anything that adds to the article: a checklist, list of resources, or simply a more interactive PDF version of the article. It’s a great way to turn someone who’s already interested in what you have to say into a new lead you can nurture further. The great thing about webinars is that you basically get face time with your customers and an opportunity to pitch your product in person in exchange for their contact information. However, the webinar itself shouldn’t be about pitching your product – no one wants to take time out of their day for a sales pitch. Instead, offer value, engage with your audience and in the end, give them a discount or an exclusive offer should they choose to sign up. Again, like other lead magnets, the best webinars are highly relevant to your audience, helping you attract super-targeted leads. Offer something special and personalized to each lead. It can be a limited-time discount on your product or a giveaway in return for a sign up. If you’re running a fitness business, for instance, you could offer a chance to win an annual gym membership. Partnerships with other businesses can also be extremely effective, because they help get your brand in front of a whole new audience. It’s a win-win for you and your partner (as long as you share the same, or very similar, target audience). A great example of this is our partnership with the small business loan expert, Kabbage, to co-create and co-market an ebook, The Big Guide to Small Business Marketing. With relevant content for both of our target audiences, we were able to expand our reach through shared marketing. Use your creativity to dream up a promotion your audience will love. For marketing experts, this one seems like a no brainer, but it’s often forgotten. Once people land on your blog, you should try to go for the kill and convert them to customers right away. This means you want to have a visible CTA somewhere on your blog. 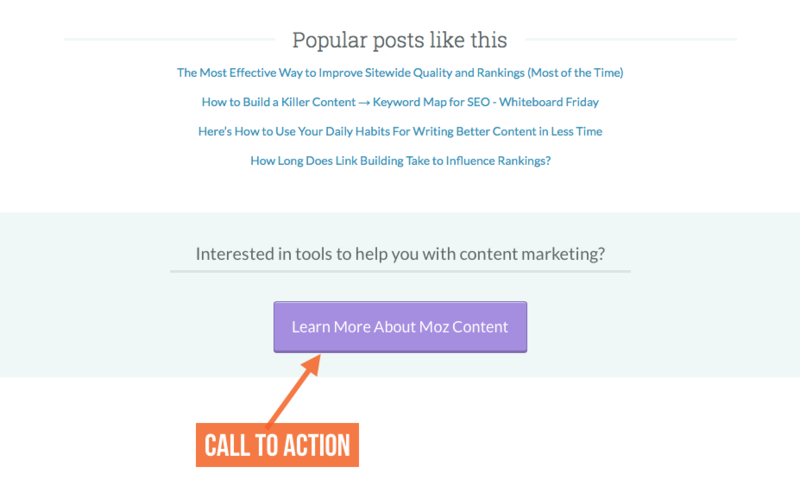 Ideally, you can include the CTA just above your website footer or at the end of a blog post. That way, you’ve earned trust first by providing helpful content, making it more likely your visitor will convert. The best strategy might be to lower the barrier of entry for the visitors to your blog. Instead of asking for a big investment upfront, offer something like a free trial or more information about your product. Then make it easy to sign up so you can reach out to these interested leads and help them to convert. Having website visitors subscribe to your newsletter is the most basic way to generate leads – but it works. If your content is good, people will sign up to read more. So focus on creating high quality content and make it easy for people to subscribe. There are tons of ways to capture new subscribers. 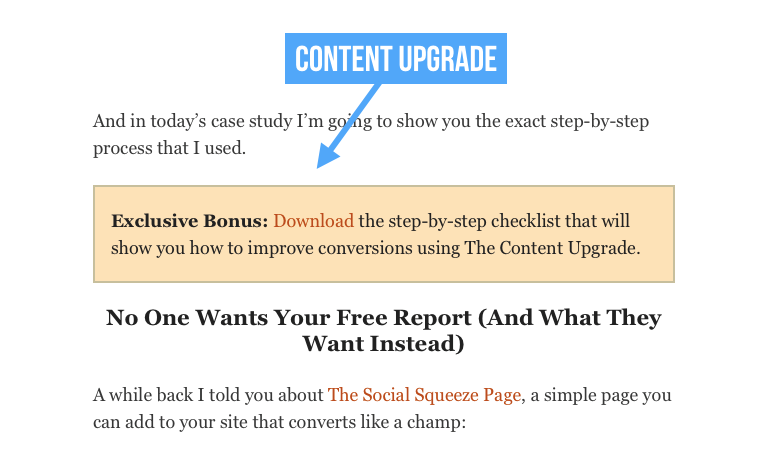 You can add a static bar with a “subscribe” CTA on top of your blog. You could implement pop-ups, sliders and static ads across your website. Or you could use an exit pop-up to capture people leaving your website. But be careful, too much of everything is always a bad thing. Too many pop-ups and CTAs can ruin the entire experience and make your visitors leave. Email is still the most effective marketing channel when it comes to ROI for your investment. Staying top of mind with your contacts is key to convert them into customers. As you’re generating leads from your blog – through newsletter signups, lead magnets, webinars, and CTAs, close the loop with email marketing. Using all of these methods, your blog can become more than just a platform for you to share your business knowledge. It can become a plentiful source of nurtured leads ready to take the deep dive with your small business.